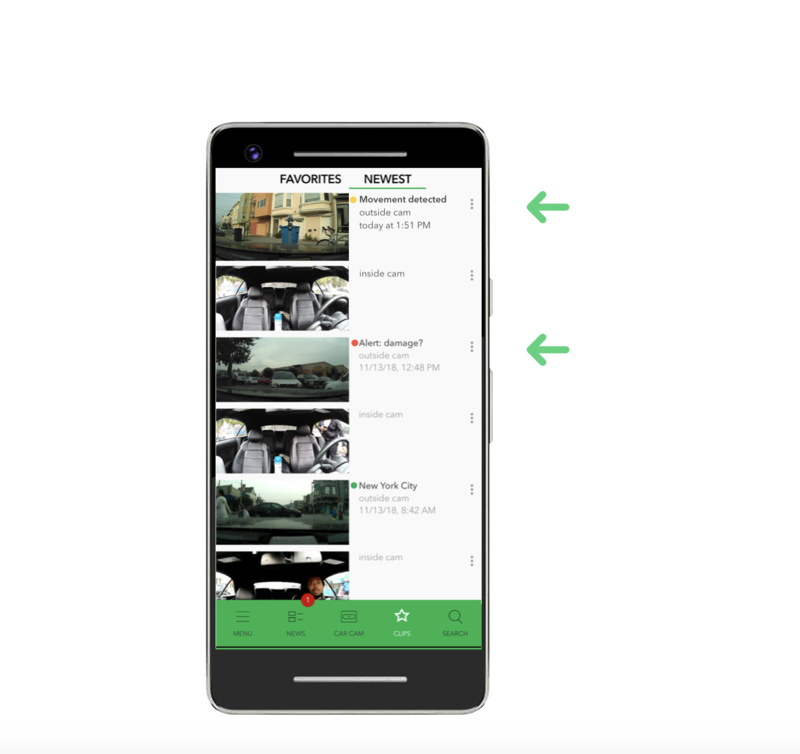 We removed the Alert Sensitivity setting in your Owl Car Cam app and added a new feature called Alerts and Notifications setting to make sure you get the notifications you care about and never miss a thing. In CLIPS under NEWEST we added colored dots so you can identify your Alerts and Notifications faster. 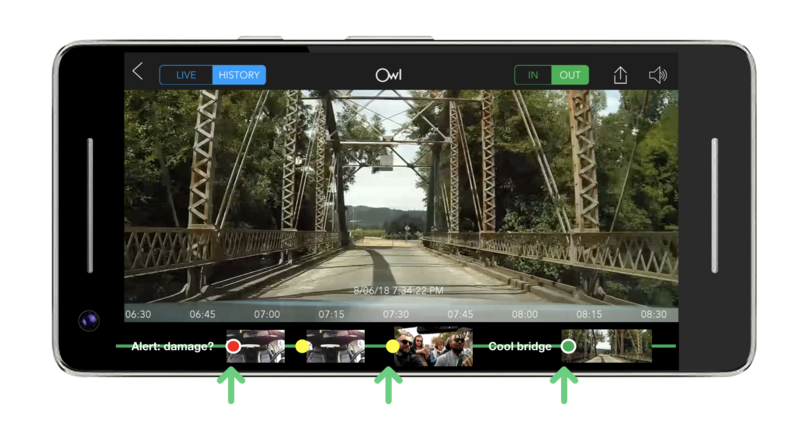 On your HISTORY timeline we added color markers so you can scrub through your footage and create clips with ease. 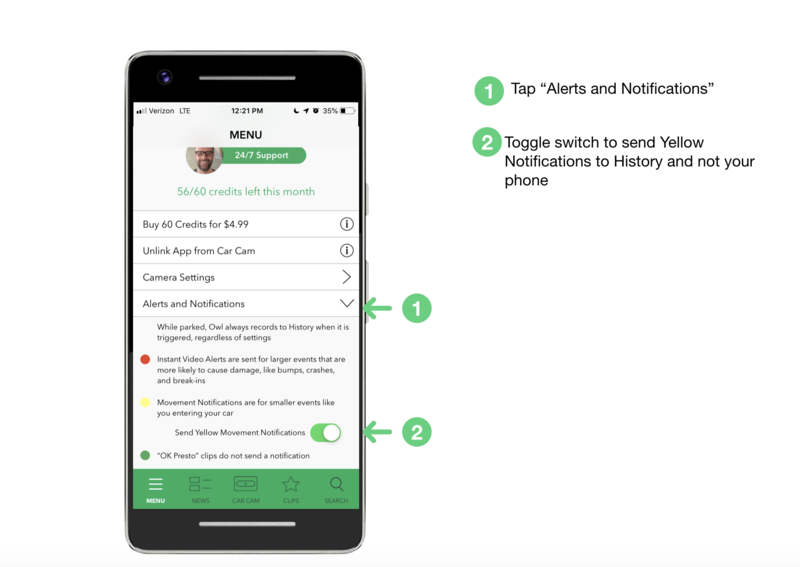 Red dots represent Instant Video Alerts which are sent for larger events that are more likely to cause damage like bumps, crashes, and break-ins. Yellow dots represent Notifications which are images sent for smaller events like when you enter your own car. Green dots represent the clips you create like "OK PRESTO" voice clips.